For your birthday, Bryan, have a slice of Stock's birthday cake. Not only does receiving a birthday cake pretty much guarantee a live performance from your friends and family, you also get a damn wish! All you have to do is blow out some measly candles, provided they are not the hilarious trick kind that won’t go out. Birthday cakes really are are the genies of the snack world. No other food wields that kind of power. When I was a kid, anytime we were celebrating the birthday of a family member, we would get a cake from Stock’s Bakery. It’s the same for many families in the Port Richmond area of Philadelphia for over five generations. 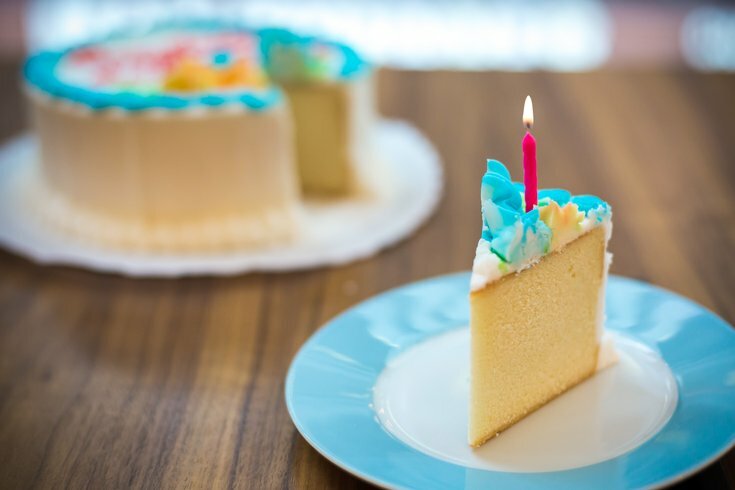 It originally opened in 1925, but it wasn’t until the 1940s that the Stock family began to make its famous pound cake, from which their birthday cake stems. Growing up a few blocks away in Port Richmond, it was the standard for all birthday cakes. It was what I knew a birthday cake to be. As I got older, I realized other cakes were not created equal. We were just very lucky to have one of the best in the world available to us. As a testament to how good Stock’s is, not only are they closed Sundays, they’re also closed Mondays. It’s even stamped right onto the iconic box. They’re also archaically “cash only.” A place with limited hours, closed certain days and cash only is usually a good thing. To me, that means the place is so good that they can not only afford not to be open everyday – and they’re betting on their product so much – that they know people will make sure to plan around the store’s availability. A few weeks ago, my family had a surprise party for my dad’s birthday and there was, of course, a Stock’s cake. My uncle said that he thinks they put cocaine in the cakes, which is why everyone loves them so much. I can probably safely assume that is not the case. What does make them so good—besides the mass amounts of butter and sugar—might have something to do with the shortening that is used. Vegetable shortening is a quintessential part of the Stock’s cake recipe, although it has a high amount of trans fats – a type of unsaturated fat known to cause long-term adverse health effects. In 2007, after the city placed a ban on trans fats in restaurants and bakeries, Stock’s Bakery argued that the changing of a major ingredient to their signature item would be a disaster for their business. Along with a handful of other Philly establishments, the bakery took its fight to Philadelphia City Council. Owner Mark Stock even brought two versions of Stock’s pound cake: the original recipe, and a version that was the best the bakery could do with the ingredients forced on them under the new ordinance. This way, the voting City Council members could taste the difference. I remember when this was all happening in Port Richmond. It was legitimately the talk of the neighborhood for weeks. With the backing of thousands of petition signatures, the bakery got to keep their recipe after a 16-1 vote. Luckily, that was the ruling, or there would have been an uproar of local grandmoms. Hell hath no fury like a cake-lover scorned. After tasting this delicious piece of my childhood at my dad’s birthday and with my birthday coming up the next week, I decided to buy myself a Stock’s birthday cake. And since I have a junk food column, I could review it here. And since I was ordering the cake, I could have had anything in the entire world written on it. Who better to get a birthday came from than Beyonce? If you’re asking why, think about how you would feel if you got a birthday cake from Queen Bey. It would be the greatest cake-related moment in your entire life. A minor complaint: the cake decorators didn’t put the “é” at the end of her name. 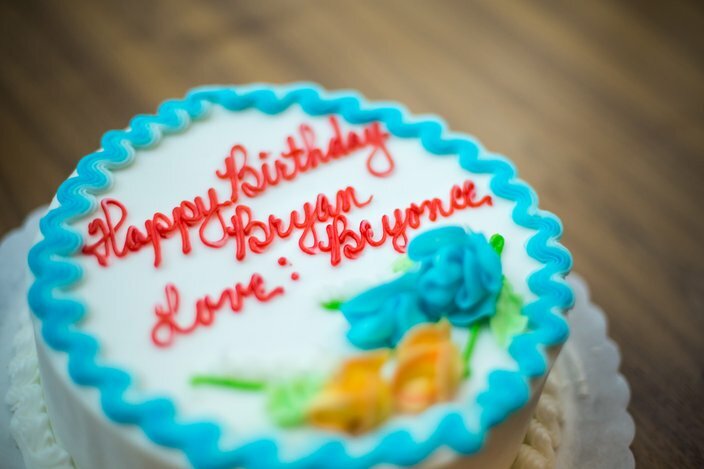 This isn’t entirely their fault, as I didn’t specify the accent on the “e.” However, it is a dead giveaway that this is not actually a cake from Beyoncé. As soon as you cut into it, you realize how dense it is. This is a hearty cake. The texture isn’t spongy like most, which is what makes it so unique. There’s a butteriness that almost glistens up close. The taste is very moist and rich, with strong blasts of vanilla. The aftertaste is sweet, yet not overpoweringly so. The creamy icing is exquisite and the closest I’ve ever come to cake euphoria. With supermarket-made cakes, their icing often has too much sweetness because of the artificial sugars and corn syrup. Stock’s icing uses the real stuff in a time-tested perfect recipe. It’s like a birthday party in your mouth and everyone’s invited, except your weird cousin Edgar. If you have a soft spot for sweets, this is right up your alley. 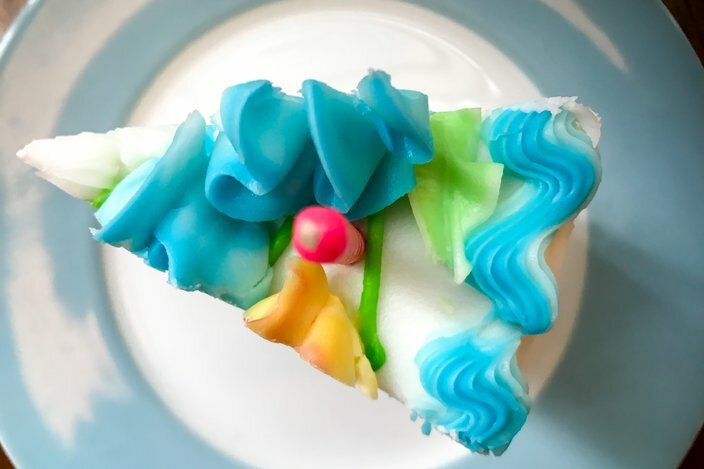 Their birthday cakes usually come with a rose made of different-colored icing, and in our family, those pieces would generally go to whoever’s birthday it was. Those were the king pieces. I used to not like the actual cake part and just eat the icing, but I now see how stupid I was. While the icing part is – without a doubt – the best, the cake part is also scrumptious in its own way. Plus, eating the cake part leading up to the icing makes the icing part taste better, like sailing into the flavor Promised Land. I used to only pick the marshmallows out of a Lucky Charms box too, but now I eat the whole bowl of Lucky Charms, even the oat pieces, because I’m an adult. Verdict: Best cake I’ve ever had. This is a first-ballot Bad For You Hall of Famer, if such a thing existed. It doesn’t.